A video footage currently trending online shows the moment a man burnt himself alive in his car after a heated quarrel. In the video, the unidentified man who appeared visibly angry and agitated can be heard shouting as he walked to his car after being offended. 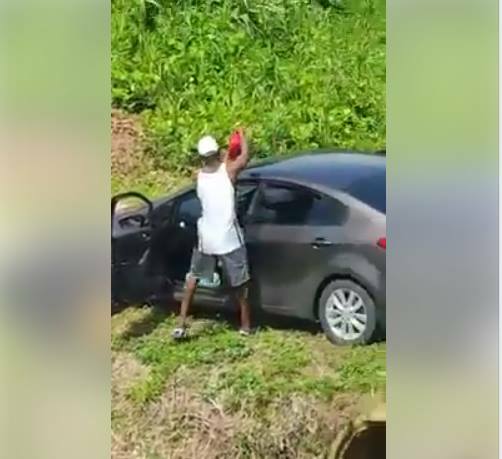 On reaching his vehicle, he poured some gallons of fuel both outside and inside as he continued shouting angrily. 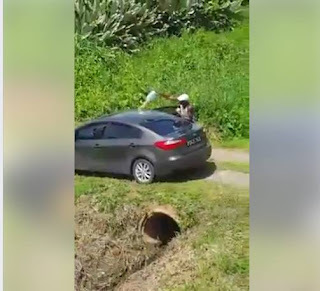 A woman who was filming him while displaying his anger probably thought the man would not carry out his threat even when he poured fuel on/in his car. 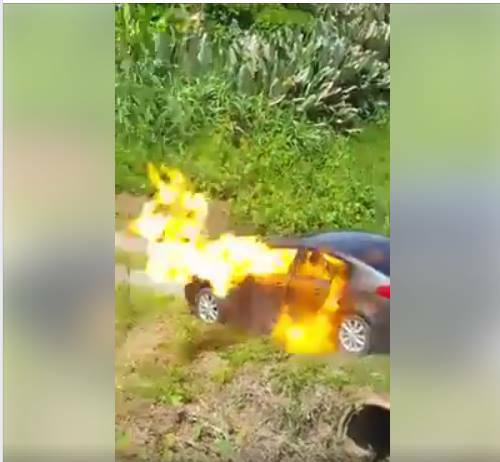 The man later entered his car and set himself on fire. The person who was filming him had to stop immediately the car exploded.